For this lovely couple, the Master needed to allow for a stark, masculine, Mission-style family heirloom, whilst still being cosy enough for the Mrs. to feel pampered. We turned to the English Arts & Crafts movement and its major influences from the East. 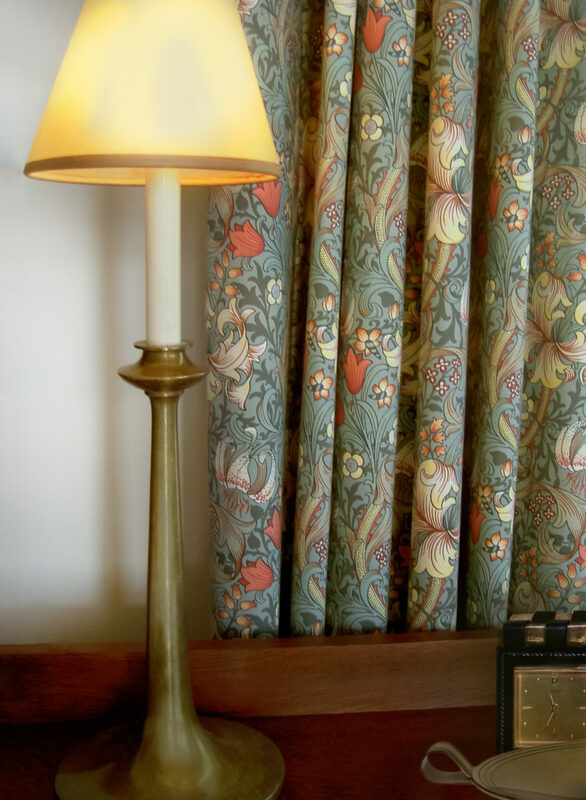 A beautiful floral fabric by William Morris, bone-inlaid Arts & Crafts furnishings and the addition of eastern influences brought a more feminine approach to the genre. 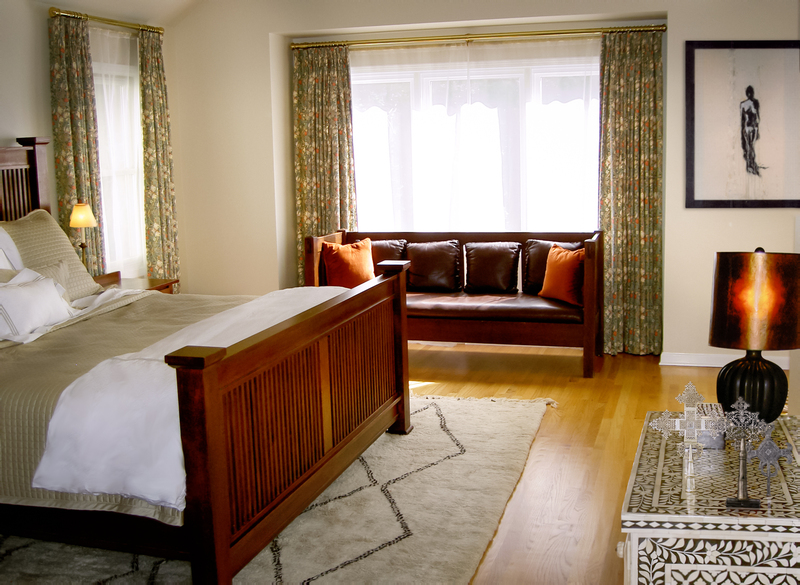 Finally, adding contemporary artwork and vintage brass accessories brought the room together and spanned the decades.